Happy St. Patrick’s Day, a day late! I’m falling behind on my picture posting so a couple of posts are shifted back a day. 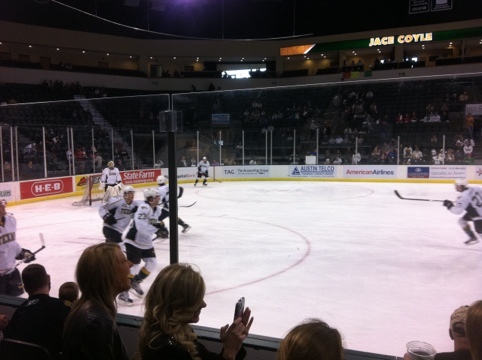 My son’s hockey team got to play a couple of minutes during the first intermission at the Texas Stars hockey game. He had been looking forward to it for weeks, building up nervous energy at the thought of the big audience watching them play. He did great though, and once he was on the ice he forgot about the crowd. It made my mommy heart proud, and it was fun hearing the “awww’s” from the audience too. I had never been to a live hockey game before, it’s nothing like seeing it in person. It was so exciting!! I don’t like wrestling and any of that UFC business, but something visceral takes place. Within the first five minutes of the game a player was “checked” into the safety glass right in front of our seats, that was quite a welcome into the arena, it certainly got my son’s attention. The music is loud and the lights flash, and when the crowd roars at the players getting into a fist fight on the ice, it’s hard to be a pacifist. There is no lack of testosterone there! 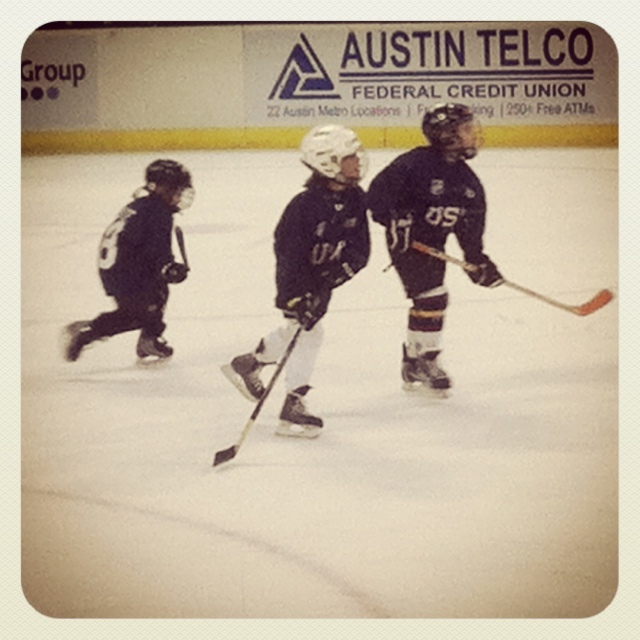 My son on the ice, he has the white helmet. 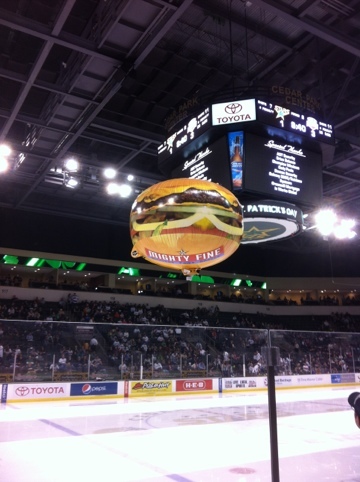 This entry was posted in Instagram, Parenting, Project 366 and tagged Hockey, Instagram, mini-mites, project 366, St. Patrick's Day, stars, testosterone, Texas stars. Bookmark the permalink.